With summer on the horizon and 30 degree days already well and truly here, ice cream weather has arrived and I couldn’t be more excited. 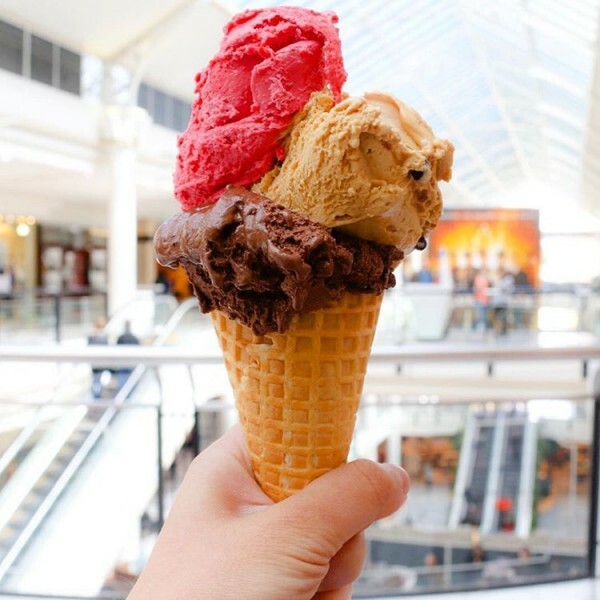 To celebrate, here are 5 places to grab a sneaky ice cream while you’re out and about enjoying the warmer weather this season. With three locations in Canberra (Civic, Manuka and Belconnen), Gelatissimo is an Australian franchise that’s gone global. I remember when they opened up in the Canberra Centre – it was the first time I’d ever tried an “unusual” ice cream flavour. The label said “apple pie” and eleven year old me was gobsmacked that it actually tasted like apple pie. Needless to say, ice cream and my expertise in the area have come a fairly long way since then. But Gelatissimo still make pretty decent ice cream, even if you have to pay a pretty penny for it. Dolce & Salato is an Italian pasticceria on Bunda Street in the City. They have a pretty big range of Italian food and pastries on offer, but, from what I can gather, most people are there for one thing and one thing only – ice cream. 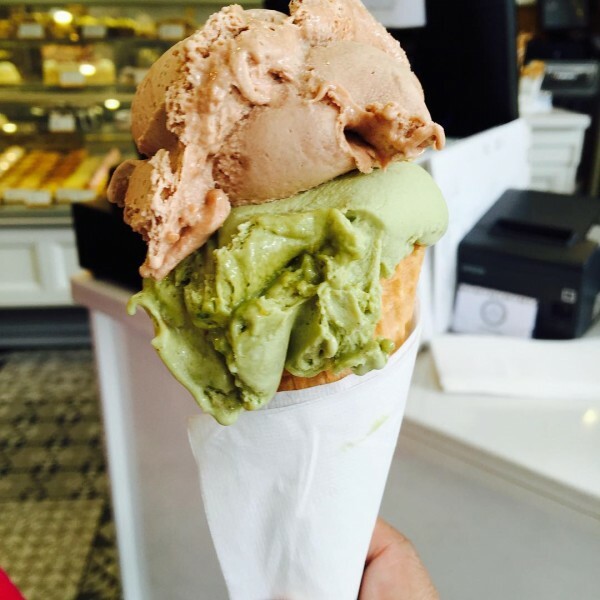 Their ice cream and gelato is proudly displayed at the front of the cafe and you can order straight off the street. Take a walk along Bunda Street and you won’t miss it. 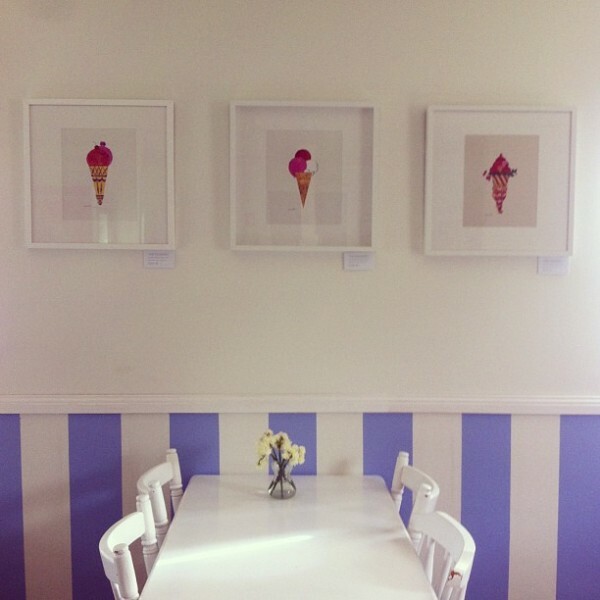 Without a doubt, Stripey Sundae is the cutest little ice cream shop in town. With it’s blue and white stripes and vintage decor, this place in Gold Creek will melt your sweet little heart and cool you down all at the same time. They sell Canberra-made Frugii ice cream (more on that later) and pride themselves on supporting local and fair trade goods. If you like your ice cream with a little bit of old town charm, then Stripey Sundae is the place for you. 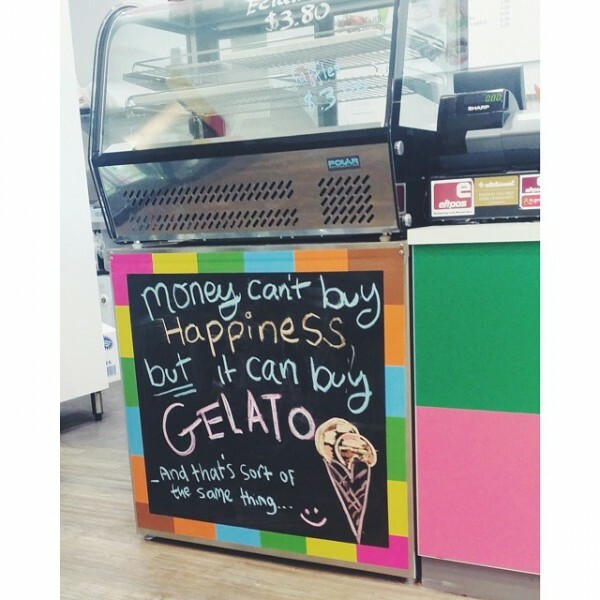 That Gelato Place is a bright and fun ice cream shop located at Cooleman Court in Weston Creek. Like all good ice cream shops, you can walk in off the street, try a few flavours and get a double scoop waffle cone with your favourites. But what I really like about That Gelato Place is their take home options. In fact, you get more choice if you’re buying a big tub and their flavours can get pretty wild. Think, deep pink taro ice cream or lavender scented lemon. So I’m going to make this really easy for you. No ifs, no buts, the truth is Frugii is the bomb. Hands down, the best ice cream in Canberra and if you haven’t tried it, then the time is now. 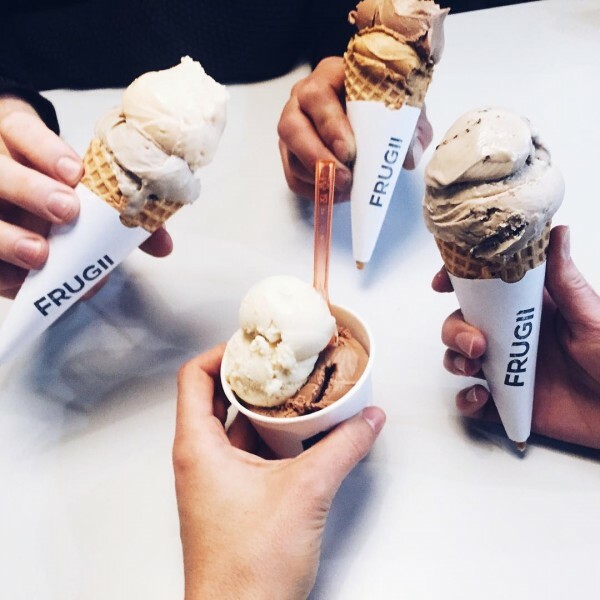 The mastermind behind Frugii is John, Mr Frugii himself, and his ice cream has been kicking around Canberra for a while now – mainly at markets, but I mentioned earlier that Stripey Sundae also sell his creations. In January this year, the Frugii Dessert Laboratory opened on Lonsdale Street in Braddon and the rest is history. If you’re serious about ice cream, then I recommend you get your mouth around Frugii as regularly as possible. I’ll see you in the queue. Where is your favourite place to pick up an ice cream on a hot Canberra day? Frugii are the undisputed champion ! When it comes to the best ice cream in Canberra ,FRUGIII is undisputed on any forum or discussion or on any post ! I am currently in Perth and have come across a gellateria in Leederville called Gusto that has really authentically creamy gelatos just like in Tuscany/Umbria but with modern twist and subtle flavour combinations. Frugii’s gellati are very good but not as creamy smooth and soft as I remember the better Italian gelatti. I’d happily eat either. Perhaps I am biased to Perth at the moment because it is stinking hot. Gelatissimo in the Canberra Centre was all boarded up yesterday. Anyone know why ? John should be made a Canberra Treasure! Frugii, Onya and Autolyse are the Holy Trinity of Canberra Foodies. Bertoldo’s Gelato Mio at DFO Fyshwick (I refuse to call it COC). Great refreshment after a killer session in the gym.